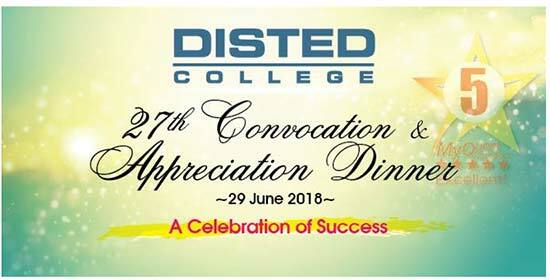 DISTED College will host its annual Convocation and Appreciation Dinner in conjunction with its 27th Convocation Ceremony. 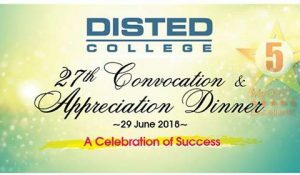 The dinner, which will hold at Gurney Resort Hotel Penang on 29th June is to celebrate the success of its graduates and high achievers in the Certificate, Diploma and Degree programmes at DISTED. It is also to recognise the contribution and support by members of its Industrial Advisory Panel, academic partners, external examiners and various individuals for all their dedication to DISTED throughout the years.